We carry out the following initiatives and review our work from the user perspective to become “an international conference center where facilities, functions, and service are fully integrated”. We perform post-event surveys to ask for feedback from our clients on everything from facilities to services, and reflect the results in our operating policy and services. 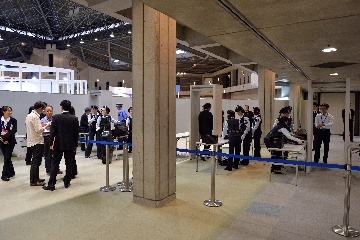 We also enter for the World’s Best Convention Center Award, held by AIPC (International Association of Convention Centers), of which ICC Kyoto is the only member in Japan, to aim for a global standard and clarify our challenges. 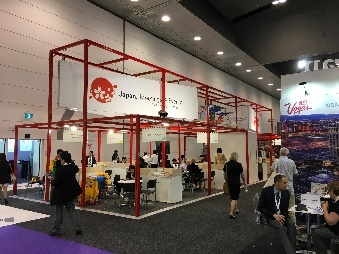 In addition to organizer input, we also exhibit at domestic and international MICE trade shows to receive first-hand opinions from buyers, including PCOs (Professional Congress Organizers), DMOs (Destination Marketing Organizations), DMCs (Destination Management Companies), and travel agents, to clarify what people want from Kyoto and ICC Kyoto. We take tours of major domestic and overseas international conference centers and other MICE facilities to explore our ideal business model, services, and facility management. Our staff aim to become MICE professionals, and they strive for continuous improvement. 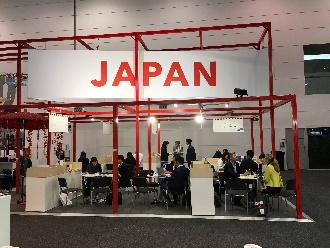 They attend general meetings, workshops, and seminars in Japan and abroad to heighten their crisis management, facility management, planning and presentation, and customer service abilities, as well as gathering the latest information in the MICE industry and networking. In particular, we are focusing on cultivating human resources in the customer service department who can discuss and collaborate directly with international organizations and overseas organizers, secretariats, and core PCOs. We also invite guest speakers from other industries for an information exchange meeting every month to deepen our employees’ qualities and education as business people. 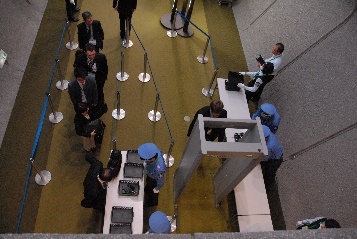 The Conference of Parties to the UNFCCC (COP3) was held and the Kyoto Protocol was adopted here at ICC Kyoto in December 1997. 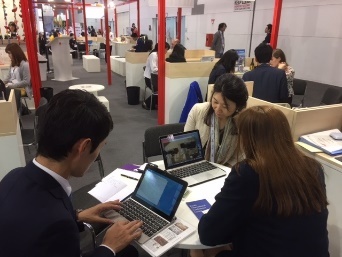 Ever since, “Kyoto” has been a keyword for initiatives to protect the environment, and Kyoto City holds an initiative called “Do you Kyoto? Doing something good for the environment?”. As 2017 marks the 20th anniversary of the Kyoto Protocol, the circle of environmental actions continues to expand. 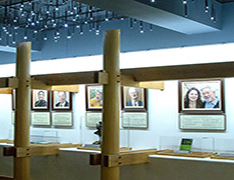 Kyoto has also created the Earth Hall of Fame Kyoto, an award to honor in perpetuity the achievements of those who have contributed to conservation of the global environment. It is given in the name of Kyoto, the birthplace of the Kyoto Protocol. Event sustainability has become an increasingly important theme in the MICE industry in recent years. In June 2016, Kyoto was the first city in Asia to join the Global Destination Sustainability Index. We employ a co-generation system, which is a power supply system that heightens total energy efficiency by retrieving power, heat, and cooling from the exhaust heat of internal and external combustion engines. 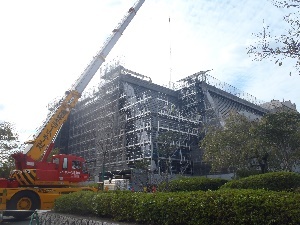 Two 600kW gas engines for continuous power generation are installed in the basement of our main building, operating in conjunction with the commercial power grid to supply power throughout the ICC Kyoto complex. 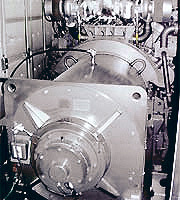 Hot water produced by cooling water for the gas engines and steam from exhaust gas are recovered and used for HVAC (air conditioning) and hot water supply. This system is fueled by natural gas, so it emits almost nothing but carbon dioxide and nitrogen oxide, and very little sulfur oxide. A three-way catalytic system is used to reduce nitrogen oxide, further alleviating the burden on the Earth’s environment. Temperature of exhaust gas is high at approx. 650°C, with little change due to load factor, resulting in a high heat utilization factor. It is easy to recover exhaust heat from cooling water and exhaust gas, giving an exhaust recovery rate of up to 42.0%. We employ a water-saving water supply circulation system in view of the need to reuse limited water resources and secure the water necessary during a disaster. 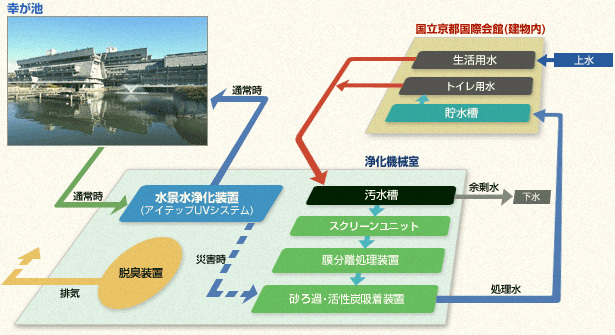 We purify greywater and water from Lake Sachigaike and Lake Sakuraike and reuse it for restroom washing water. We use gentle water processing methods that protect the pond ecosystem, including UV sterilization, ozone oxidative decomposition, and rapid filtration. 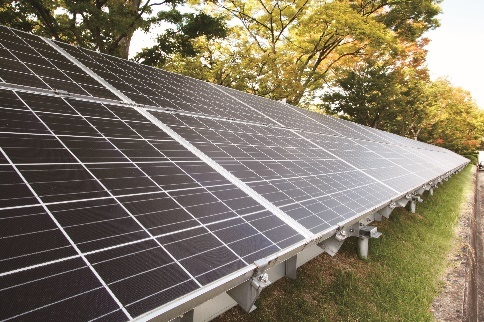 We have installed solar panels on the slope of Parking Lot 1 to power the digital signage in the subway passageway. 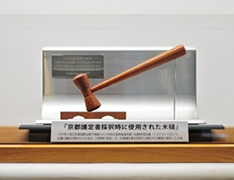 ICC Kyoto is certified for STEP 2 of the KES (Kyoto Environmental Management System Standard), an environmental management system standard promoted by Kyoto, the home of the Kyoto Protocol, in order to serve a sustainable society in the zero emissions era. 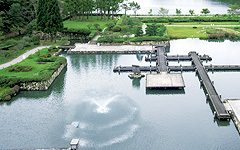 We have partnered with the local government to proactively promote maintenance of the natural environment around Lake Takaragaike in order to protect Kyoto’s historical scenery, not to mention environmental conservation within our Japanese garden. We have harmonized with the surrounding environment, which is designated as a scenic area, to form a non-disruptive dedicated conference zone. Fulfilling our societal responsibility with a balance between economic, environmental, and societal factors enhances sustainability. We are considering the following initiatives as future steps. 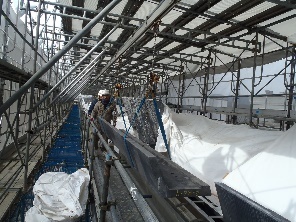 ICC Kyoto conducted large-scale retrofitting renovations on all of our buildings completed in March 2014 to ensure a seismic capacity of 1.25 times the new seismic standard in the Building Standards Act (ICC Kyoto is a Class 2 Seismic Safety Government Facility). These renovations made us a safer facility with a quakeproof structure that fulfills the latest government standards. 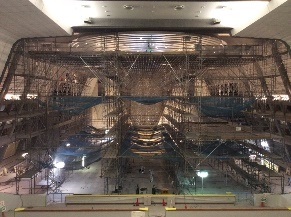 We will continue to formulate renovation and maintenance plans in view of extending the building’s lifespan so that it may continue to be used with peace of mind as an international conference center representing Japan. 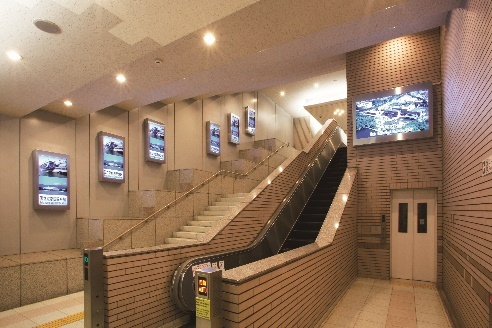 ICC Kyoto is connected to two power supply systems with power generated in different locations, so that even if our continuous power supply should fail, the sub-power supply system acts as a backup. We also have an in-house power generator that is automatically switched to if both power supply systems fail. Our audio equipment is powered by UPS (Uninterruptable Power Supply) equipment. 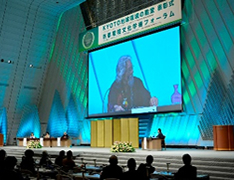 ICC Kyoto was designed principally for international conferences. 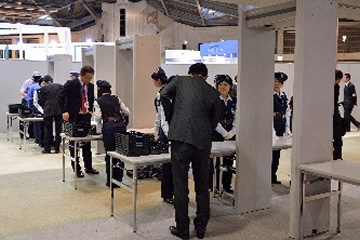 All of our facilities have functionality tailored to real conference situations, and we have achieved high reliability in both security and crisis management. We also propose specialized security arrangements by customer request.